Say you are lost in the middle of nowhere and you only have a knife and a coil of rope with you. Let us further assume, however improbable it may be, you don't panic but instead keep your calm and observe your surroundings. You collect branches and light a fire and work out a rudimentary shelter with branches and rope. Next you take to observing the blades of grass to deduce any trace of human movement close-by. We could go on and on but to most of us these days these would seem outlandish. But in a slightly less exaggerated way, this is exactly what Scouting teaches you and more. Thus, it is no wonder that Indiana Jones was shown to have been a boy scout. The Scout motto: Be Prepared, says it all. Scouting is a global youth movement which was founded by Robert Baden Powell after his experiences in the Siege of Mafeking in the Second Boer War. It started in England, after Baden Powell wrote his now famous book 'Scouting for Boys', as a manual for teaching boys what he thought were mandatory skills. These included exploration, woodcraft, hiking but most importantly building up a self sufficient man. The movement soon grew to be a universal one, with 216 countries as members. The basic tenants of scouting include those of truthfulness, thrift and chivalry. James Brian Gomez, a Scout for most part of his life, says that scouting taught him not only to obey the chain of command but also to be a leader when required. It teaches self reliance through active participation in Scout camps, which if you ask anyone who has ever been to one will tell you, is one of the most awesome things to be a part of. Scout camps teach the scouts different skills such as tying useful knots, tracking in the wilderness, estimating distances and pioneering among other things. The tenderfoots, as they are called when they are initiated, pledge to the Scout promise and vow to uphold the scout laws. These include being patriotic, courteous, kind to animals and to be clean in thought and deed. They gradually move through stages by earning different merit badges. 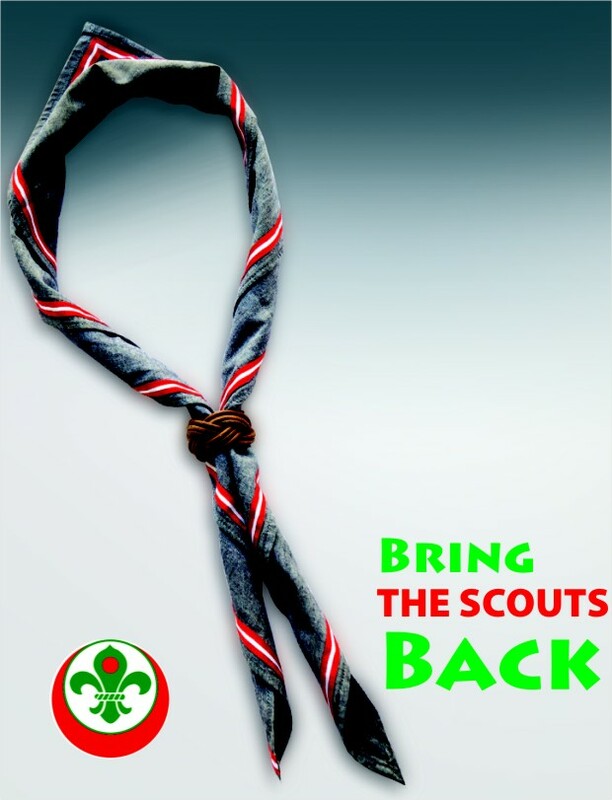 Furthermore all scouts pledge to do at least one good turn daily; a promise which is harder to keep than it seems. The Scouting ways have been in Bangladesh since 1971 and it existed in Pakistan before that. The movement in Bangladesh was fairly strong with schools such as St. Joseph and St. Gregory offering it to their students. Anindya Guha, a scout from Dhanmondi Tutotial, who participated in the Thailand Jamboree, says that scouting for him brought a whole new dimension he would never have had access to living in the city. Apart from developing a strong cultural bond in the World Jamboree, he says, scouting made him self-reliant and taught him skills of pioneering, which he deems invaluable. But recently, it is sad to see that the movement is breaking up due to various factors, the most important being parents' reluctance in letting their kids join. The reasons it seems are primarily two; a) the parents don't want the kids distracted from their studies and b) they are too worried to let the kids go to camps away from home. As one parent puts it, she refused to let her son join in spite of his eagerness because she thought that he would become “corrupted” if he went to camps. But parents have to come to terms with reality; our generation is growing up without skills which they themselves consider invaluable. Responsibility and leadership are qualities growing scarcer every day. As James Brian Gomez had to say, “Kids today are missing out on the fun we had as scouts, building things out of bamboo and ropes, sleeping inside a tent, the camp fires and of course the hiking.” When parents are so worried about how their kids are growing up to be impractical, obese and introvert, it would be expected that there would be more scouts. Now scouting is not all about survival out in the wild - it teaches one the values of thrift and responsibility. Tanveer Karim, a recent scout says that though he could only participated in a few camps, what he learned during those were invaluable. He emphasised on the lessons learned about strict discipline as a young scout and the responsibilities when he was a patrol leader. Our parents would say that our generation is the last thing that they would call responsible. When we don't even want to tie our own shoelaces and sometimes have trouble tying basic knots to keep the mosquito net up, scouting is indispensable. So instead of leaving your bed to be tidied up by your mother, join the scouts and learn to be responsible. If anyone is interested in joining the scouts and do not have an opportunity through their school, they may visit the website of the Bangladesh Scouts (www.bangladeshscouts.org) for information about membership.